→What Is MLM (Multi-Level Marketing) About? What Is MLM (Multi-Level Marketing) About? What is Multi Level marketing business about? Is Multi Level Marketing a SCAM or legitimate? No Worries, you will find out full explanation in this post. Let's begin. Multi-level marketing as a business model is increasingly becoming controversial particularly in terms of allegations of pyramiding schemes resulting in large losses for its investors (i.e., distributors). Many of these serious allegations have been proven true by federal and state authorities in the United States, such as in the case of USANA and Amway. Yet these companies are still in operation and, thus, continuing to lure people into their fold. Is Multi Level Marketing A Pyramid Scheme? But you may think that we’re assailing the integrity of MLM companies and attacking the viability of their business models. What is Multi-level Marketing About? Multi-level marketing (MLM) is a sales and marketing strategy used by many direct sales companies wherein the salespeople, often called distributors, are compensated in two ways – first, for the sales they generate on their own and, second, for the sales made by the people they recruit. The “original distributor” is known as the upline while his/her recruited salespersons are called his/her downlines. The result: Multiple compensation levels, most of which accrue to the uplines. Other names for MLM business models are network marketing, pyramid selling, and referral marketing. No matter the name, however, the business model remains the same – the companies exploit their members to gain high passive incomes for a few people at the expense of many. In fact, the U.S. Federal Trade Commission (FTC) has asserted that some MLM companies are actually Illegal Pyramid Schemes! Please watch what John Oliver said about MLM, very interesting video. Enjoy! Let’s take a closer look at the MLM business model to understand the assertions made by federal and state authorities about the non-legitimacy of MLM companies. First, MLM companies are likely to get less than 70 percent of their total sales from purchases made by ordinary consumers – or to put it more appropriately, by people who aren’t connected as distributors (i.e., uplines and downlines) to the company. The 70 percent rule is used by federal and state authorities in determining whether a company is engaged in a pyramid scheme or not. If 70 percent or more of the products are sold to and purchased by consumers, then the company’s likely a legitimate multi-level marketing company. If it’s less than 70 percent, then it can be operating a pyramid scheme disguised as a legitimate MLM operation. Emphasis must be made that pyramid schemes are illegal in the United States while many countries, such as China, actually consider MLM schemes as illegal. Second, the business model itself is similar to a pyramid scheme while still keeping their operations legal – or at least, as legal as it can possibly be under the anti-pyramiding and unfair trade practices laws. Recruit independent distributors as part of their downline organization who, in turn, build their own active consumer network and so the company expands its market presence. The largest MLM companies maintain the appearance of legitimacy by selling legitimate products and services for promotion by the uplines and downlines. But the cards will come tumbling down when the façade is stripped to reveal the large-scale exploitation of the downlines. Think about it: When you’re at the bottom of the pyramid as a new downline, you’re sharing most of your earnings (i.e., commissions) with the uplines. You have to recruit hundreds of people so that you can move up the pyramid, so to speak, and earn a full-time living. But even with hundreds of downlines, your income is but a small fraction of the income earned by the owners of the MLM company and their buddies. You aren’t also running your own business and being your boss, in stark contrast to the promises made by MLM recruiters. You have to rely on your downlines to promote and sell the products such that, if they stop selling, you will stop earning. You can’t even pick the types of products and services that you can promote, a bummer when you may not even patronize them as a consumer. What then is a better alternative to MLM? You should seriously consider affiliate marketing, particularly with Wealthy Affiliate! Affiliate marketing isn’t just – you will be surely rewarded for your time, energy and effort, as well as your small initial investment in a website. This is because affiliate marketing is performance-based since the affiliate marketer will be rewarded for each visitor or customer brought in by his/her online and offline marketing efforts. You don’t have to build a down-line organization. Your marketing efforts are geared towards encouraging target customers to visit and/or purchase the products and services of the companies. You don’t have to be limited in your choices of products and services. You can make your own network of companies, promote a few or several of their products on your website, and change your matrix as needed. You don’t have to rely on the efforts of others to increase your income. Your savvy marketing methods coupled with your drive and determination are the main determinants of your success. You will likely be provided by the companies with support, such as marketing materials, but your reliance on the success of others will be a thing of the past. The bottom line: Affiliate marketing is the wave of the future! You should try it out now and see what happens. 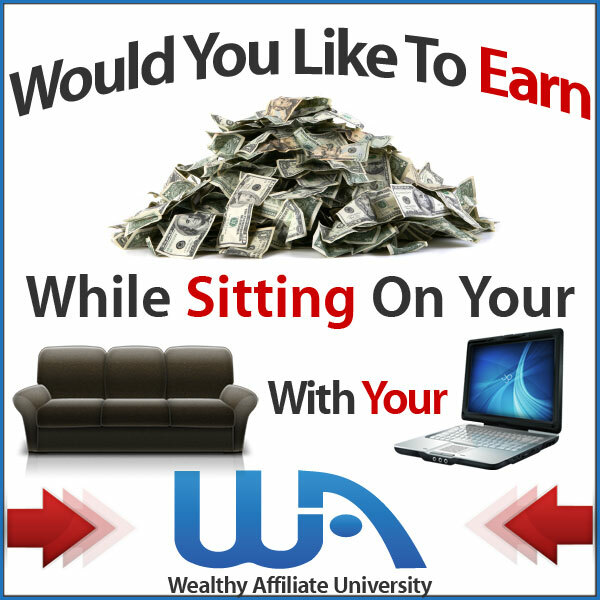 Let's see below how people earn their money through Affiliate Marketing. I hope you enjoy the reading and If you have your own thought regarding this article (MLM) please share below. Is Team National a Scam? Are They Helping You Save Money Through Discount Offerings or No? As a previous MLMer, I agree with this, especially the feeling of selling your soul when trying to gain new customers, or downline. I never got confortable with the idea of making new friends (or finding old friends) just to ultimately ask them to join me in my MLM. Always felt weird. And when i was contacted by an old friend who was involved in another MLM and pressed HARD to join them, I thought, this could never be me, selling hard like this. It left a bad taste in my mouth and was the final straw that led me to walk away from my own MLm. Ive since become a blogger and love that I can promote what i choose while tailoring the experience to my niche market while providing value to them. I also never agreed with the Eat, sleep, breathe the MLM products mentality that so many distributors adopt. You are more than the products you sell. Hi Martina, I think most of us will experienced in MLM. And I personally saw the technic that they are using towards to find new customers. Sometimes I just feel being cheat and feeling weird when a stranger just wanted to be friend with you but with a purpose-mainly joining under them. So instead of MLM why not try out AF-Affiliate marketing. You are very right. With Affiliate Marketing you are able to choose to promote the products you are passion in. etc. if you are experts in provide financial advise you can build a blog giving solution to your audience. There is no harsh and pushy. If your audience like what you recommend and make they purchase you will able to get a commission as rewards. Thank you for dropping by and do let me know if you need a hand from me. In recent times I have moved away from the whole MLM and Direct Sales models. So over it as a matter of fact. Over building a downline, and also what you said here “incomes will increase by buying into training events and materials” rings true to an old company I was with. I have turned to more Affiliate Marketing but learning how to do a blog and rank in Google. So my results will be up to me and not whether my downline sticks around. Good explanation around the MLM Industry. Hi Sharon, Very good to hear that you also shifted from MLM to AM (Affiliate Marketing). Before Affiliate Marketing I has been introduce to many of MLM programs also through my friends and I could said their strategies quite a similar with one of another. Right now I’m focusing to build a business I’m passion with affiliate marketing. I’m able to choose my own niche that suit my interest enough and work on it. I prefer Affiliate marketing over MLM any day. There are a huge amount of scams on MLM zone. Although I admit, there are legit MLM companies but my impression on them is not that great. I heard a lot of negative experiences than positive ones. But we should accept the fact that a lot of scammers are out there. They try to convince us with all that motivational or emotional tactics. Some products are damn expensive or are of poor quality which is hard to sell. That being said, I’d like to know more on MLMs. Does it suit for everyone? Is Global Money Line also a pyramid scheme? Is it legit? Good choice in choosing Affiliate Marketing and Congrats you first. Regards to Global Money Line although I haven write any review for this program yet but from what I knew this is really new and somehow most of the review is negative. Not to mention who is running behind all of these?